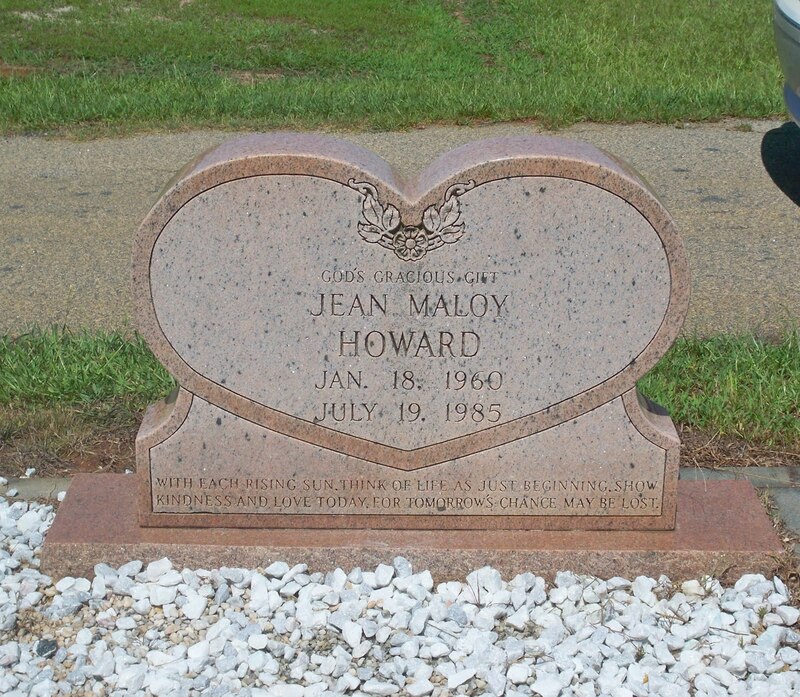 This past January 18th would have been Jean's 50th birthday if she had lived. 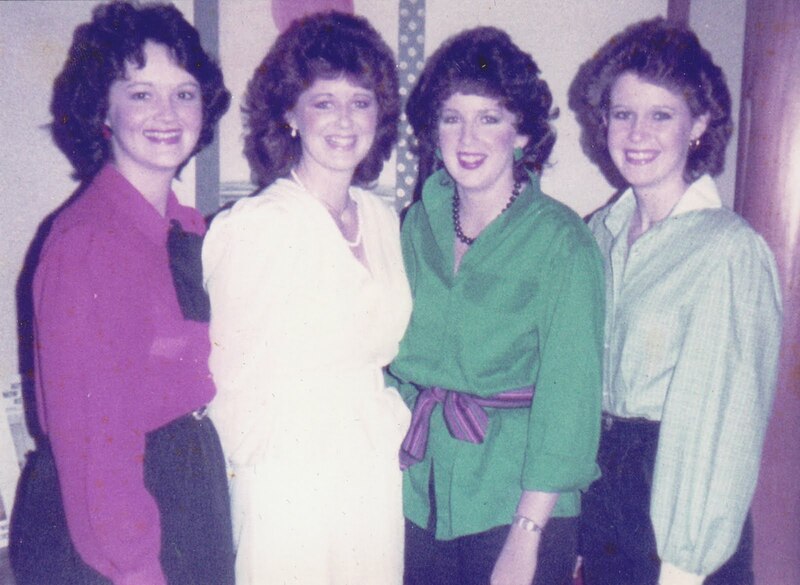 But God had other plans, and my sister died on July 19, 1985, 25 years ago. She was only 25 years old when a tragic car accident took her life instantly. She's been gone for as long as she lived. Some days it seems like only yesterday...and other days I mourn every one of those 25 years. I have scanned in some photos from our early years. 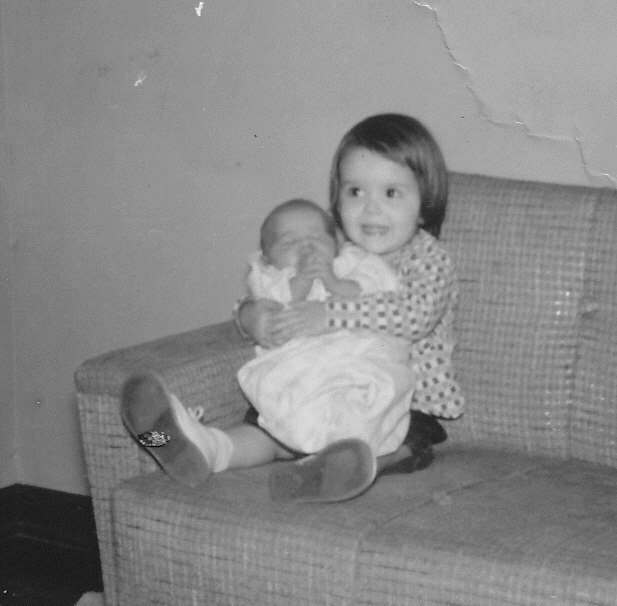 Every memory I have of my childhood includes my sister Jean as we were so close in age. This could well be one of our first photos together. I was 2 years, 2 months and 2 days old when she was born in January of 1960. 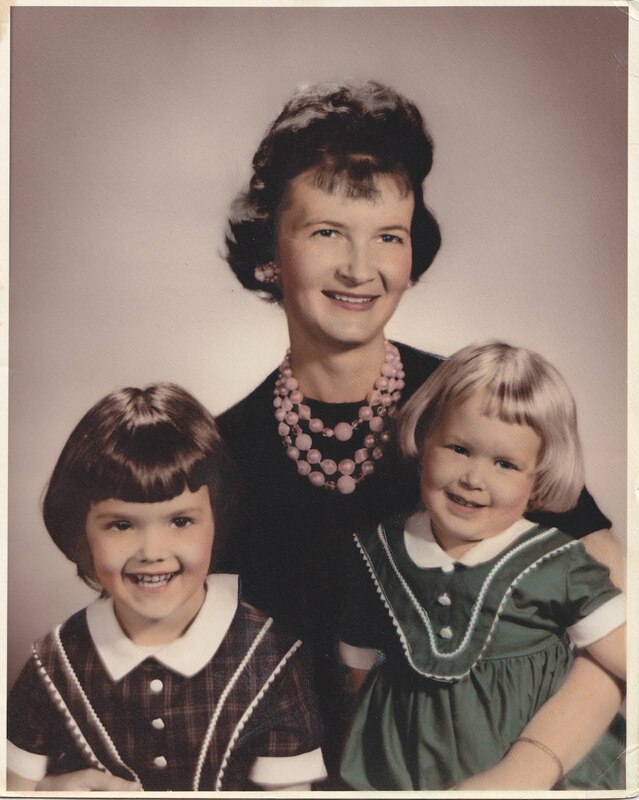 This photograph is one of my favorites of Jean and me with our mother. I was a brown-eyed brunette (still am), and she was a blue-eyed blonde! 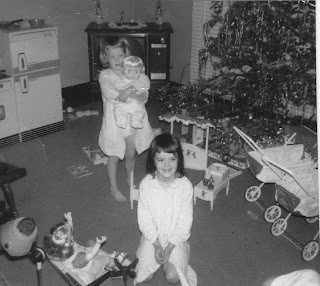 Here we are on Christmas Day - I especially love my memories of Christmases with Jean. We loved this kitchen set, and always played "house" with our baby dolls. We played outside for hours with this old dog. 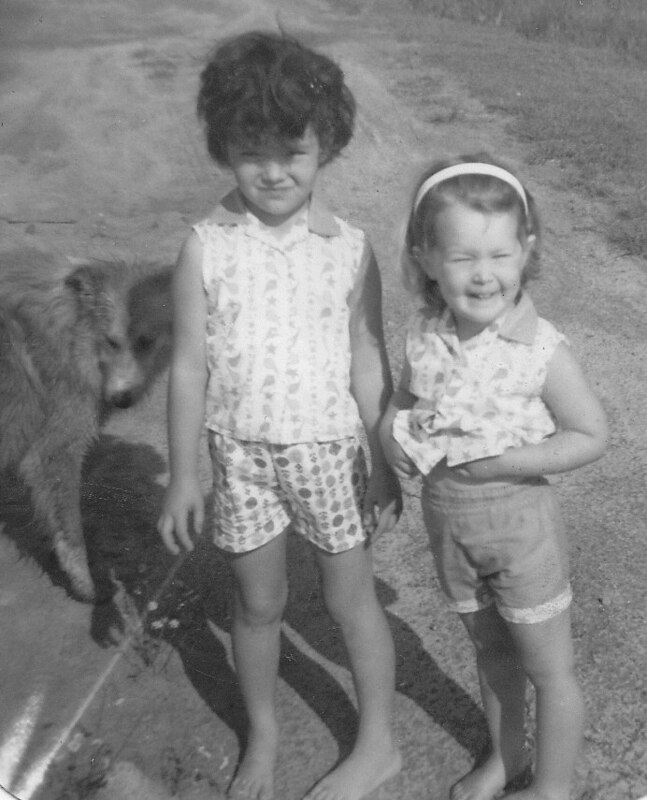 Even though I am older, she was often my defender in squabbles. Here we are all decked out for Easter with matching hats and dresses. 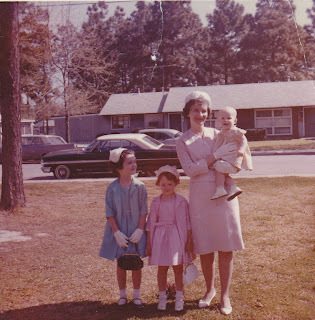 I was 7 years old, Jean was 5, and our baby sister Joan was 9 months old. Jo was born the very next year on Good Friday. 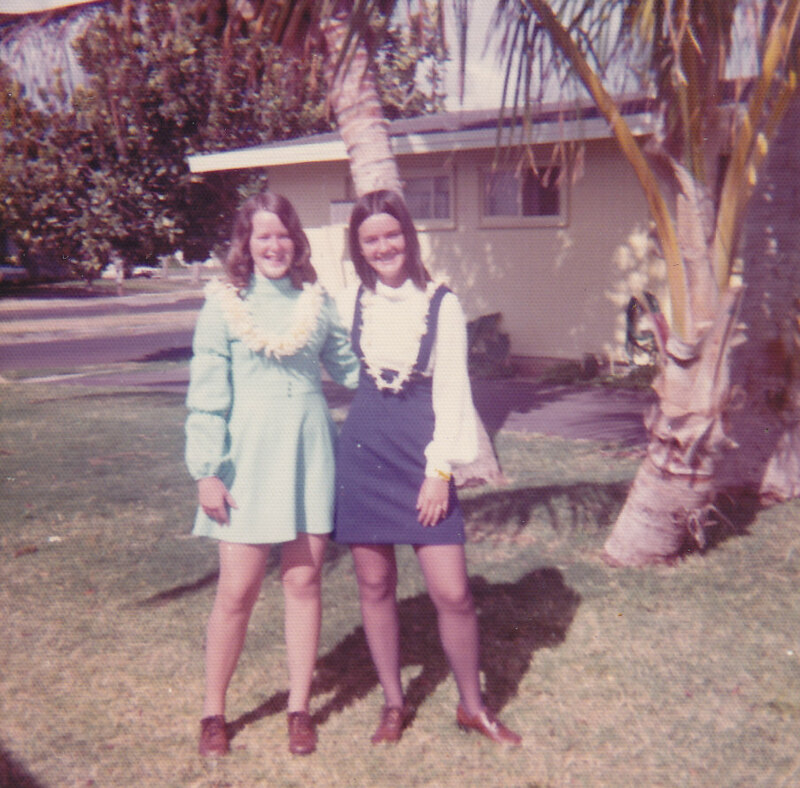 This is Jean and I in front of our home in Hawaii. great as we were teenagers and we loved the beach! A few months ago when the thought resonated in my heart that Jean had been gone as long as she had lived, I asked my mom if us girls could spend the day togther to remember Jean and celebrate her life. So that is what we did this past July 19th. My sisters and our mom went to the cemetery and put flowers on Jean's grave. think of life as just beginning. for tomorrow's chance may be lost. It was extremely hot that day, and we didn't tarry too long. But we did what we came for. We talked about how much we miss Jean, and we shed some tears. We visited our paternal grandparents' and great-grandparents' graves, and many of my Dad's siblings' graves too. After we left the cemetery, we had lunch together and did a little shopping. It was good to just be together. We wanted to remember her, but not to mourn as those who have no hope! 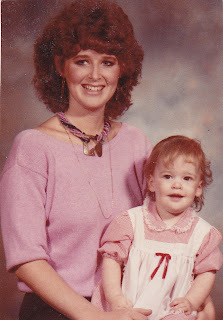 Jean had a little girl, our sweet niece Amy, who was not quite two years old when her momma died. I texted Amy and told her what we were doing, and she was so glad. She lives out of state or she would have joined us. She is so much like her momma. It is absolutely uncanny when I watch Amy and see Jean's hand motions and facial expressions. She did not get the privilege to raise her girl, but she lives on in her every day. Amy is so beautiful. 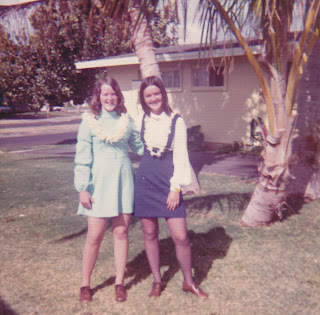 This picture of Jean and Amy was taken not long before Jean died. I cannot tell you how Jean's death devasted our lives. The morning of her funeral was the darkest day I have ever known. My heart was broken for my parents more than anything. 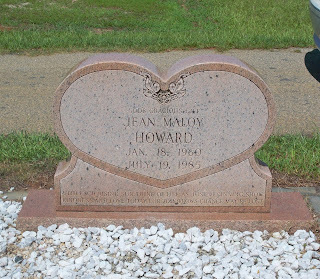 Jean's death remains the greatest loss in our family. But this I know! Jesus gives grace and He is so faithful. We turned to Him for comfort and He met us every time. We miss her every day, and when the family is together, we are not complete. But I know beyond doubt that a day is coming when we will be together again in Heaven! Because of the atoning death of Jesus Christ on the cross and our faith in Him as Lord and Savior - we will see her again one day, alive and whole. What a sweet tribute.... I felt so sad reading this story; I never knew you had suffered such a painful loss. I share your joy that because of Jesus, you will all be united together again in Heaven. Thank you Adrienne. In more ways than I possibly even know, Jean's death changed me. I was only 27 when she died, and I began to look at life differently - even as a young wife and mom. Priorities change and the value of every single day looms large. Maybe that's why even through the pain I have joy, because I really don't fret or worry over things that don't amount to a hill of beans. You find joy in the simplicity of every day's gifts. And the joy of the Lord IS my strength. Oh Jan this touched my heart this morning. Thank you for sharing. Your niece is absolutely gorgeous, just like her mother. What a wonderful tribute to your sister! My mom's sister died a 4 years ago and she was the " rock" of our family. She'd died of cirrhosis and her death changed our lives forever. There is not a day that any of my family doesn't think of her. Her legacy was vast but she loved the LORD Jesus with her whole being. She had prayed for my grandaddy to be saved and she had done so all of her life. My grandaddy accepted Christ in 2008 two years after she passed away. Oh what joy! My Aunt "Junie" showed me Jesus in her life and she was the one who was with me when I gave my life to Christ. There are days that the void is so deep in our hearts that you don't know how to go on but this I know..GOD is good..His mercies never ending..Indeed he is our joy! Simply beautiful. I would write more, but oh ... the tears. Loved every word! Thank you for sharing this Jan. Your sister was beautiful, and your neice is too. My father died when I was 25....you're right, priorities change, and Heaven seems closer. May we measure our days here carefully and serve Him faithfully! oh bless your heart - what a devastating loss! It is comforting to know that one day you will reunite with your sister and your family will be complete once again! What a precious tribute to your sister. Thank you sharing it with us. Some day we will understand God's plan but thank goodness for the hope we have in Jesus. I am so sorry about the loss of your sister. This was such a special post and I thank you for sharing it with us. Three years ago, I lost my college roommate to a tragic car accident that killed about 4 youth in addition to my roommate, Becca. She left behind a husband and a daughter that was probably the same age as your niece when your sister passed away. So my heart aches knowing the loss you walked through and your post also gives me hope for Becca's daughter, McKayla. I'm so thankful for the God we know who is true hope and helps us walk through these painful moments. Hugs to you! This touched my heart deeply. Your sister was beautiful and you wrote a very sweet and touching tribute. I, too felt so sad reading this story. I am also happy to know that one day you will see her again and what a day that will be! Beautiful. I am the oldest of four myself. I can't imagine if one were gone. A wonderful tribute to your sister and Christ Jesus who saves us all. What a precious tribute to Jean! My sister and I are two years apart and the photos you posted of the two of you in the early years were so similar to some I have of Angy and I, I had to look twice! She is one of God's greatest gifts to me. I cannot imagine losing her! But I do know that Jesus gives us grace and strenth when we need it. The beauty of it all is that you all will be together again. Not all families have that assurance. Thank you for sharing your photos, memories, and encouraging thoughts with us! What a precious tribute! I cannot imagine how you miss your sister. Thank you for allowing us a peek into her life. Amy is really the spitting image of Jean if you look at the two pictures side by side. Wow!! I know that Jean is just eagerly waiting until you are all reunited in heaven. Experiencing a loss like that touches a very unsafe place in our hearts. I am so very glad that you were able to trust God through the terror of that very vulnerable, run-away-as-fast-as-you-can place in your heart. It is a place of deep soberness and maturity...even for one as young as you were. I know that nothing in this world was worth the loss of your dear sister. Nothing. But I also know that a deeper bond grows between us and our God when we get up, wipe our tears from our eyes, and press on. 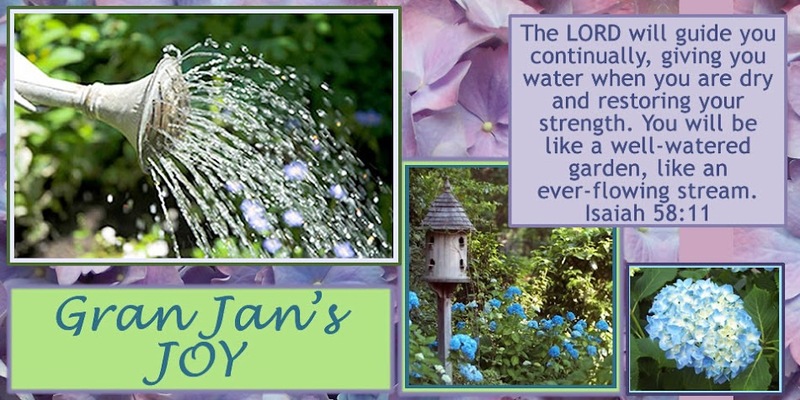 Thank you, Jan, for this very profound post. Your life is a testimony of God's resurrection power living in you. Your sister was His from the very beginning of time. She is a very precious part of your past...she is a sweet memory in your present...and she will be with you in eternity FOREVER. Enduring this present moment is the sad part...but the PARTAY is coming! You carry a part of her with you everywhere you go. Her smile that lights up a room. I will love meeting her in Glory. My sweet friend: When I lost my best friend a few months ago, you were so gracious as to just reminding me that it was in God's plan and timing. I didn't know your sister died July 19th, though obviously much later, my grandfather died July 19,1999. I love everytime I've gone through something, you've not just had the "right" words to say you said the words " God" wanted me to hear. Thank you for sharing your heart about your sister and sharing those pictures. I truly loved seeing them, and its such an example that when we follow Jesus...we are going to have times of suffering.. Praise Him in at all times...amen. What a wonderful tribute... 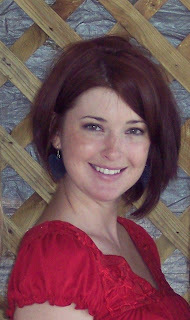 I cannot even imagine how I would recover from the loss of my sister. May God shower you with comfort and peace and love as you remember your dear sister. Oh my goodness. I was so sad reading that. My heart breaks as I think about how precious my baby sister is to me. I love her so much. Thank you for posting this it really meant a lot! Love you!! Thank you for sharing your precious photos and precious memories. It was a beautiful tribute to her. I know that you must miss her so much. What a joyous reunion in Heaven. Oh my goodness. This gave me such a lump in my throat. Amy is a beautiful young woman. What a blessing to have a daughter to carry on her legacy. Jan, I've been extra emotional this week for many different reasons, and just now reading this made me tear up so much. It hurts me to know what a loss this was to y'all. I cannot imagine. But, you're right, we do grieve with hope and this was the sweetest tribute. What a legacy Amy is living on! I love you, friend. Thank you for sharing this. Just now reading this Jan. One of my sisters, Dolly, has been gone 25 years this Thursday (26th of Aug) and I still miss her so much! Won't heaven be wonderful with no more sorrow? ! Love you Jan. Hugs too. Thank you for taking time to allow me to share in your sister's live--a snapshot of who she is. Praying for you as you miss her. Ms. Jan you are a awesome lady! I love the way that you embrace life.. See you on Sunday! Oh Jan. I have a little brunette girl with a blonde little sister right behind her. I cannot imagine. But praise the Lord you are right - we do not mourn as those who have no hope!! It won't be long. And what a day of rejoicing that will beeeee! A friend whose husband died young told me recently that she imagines seeing him again and grabbing him and saying "Oh honey! Lori got into A&M and I moved to Houston and and and..." and him stopping her, lovingly saying, "Shhh! Just LOOK!" and pointing to Jesus. And then, she would realize that...none of it mattered. What a loving thing to do for your mom and your family on the anniversary of your loss. You are such a treasure to all who know you! I didn't realized you had lost a sister. Your friendship and your lovely voice were such a comfort to me and my family when my sister died...I wish I could have offered some such comfort to you. After seeing your response today on the LPM Blog, I clicked on your link and read this. I'm beyond being able to formulate my thoughts other than to say what an extremely moving tribute to your sister. I can't even imagine. I have a sister and 2 brothers and would be so lonely without them. But how wonderful to know that death has lost its sting and we have hope beyond the grave. I claim that because my Daddy is no longer here with us and we cling to the promise of reuniting with him one day. Much love to you, Georgia Jan! I hope I someday mee you face-to-face. I feel your pain. 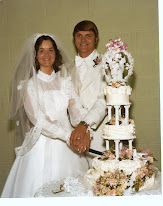 I lost my only sister & her 2 young children back in 1981 just months before I was getting married. She was 29 then & I was 22. Now I am 53 & not a day goes by that I don't think of her & miss her. I am so thankful for God's promise of heaven & I can't wait for the day when God will wipe away our tears permanently!!! Thanks for your beautiful tribute. TWO YEARS OF PURE JOY!